Modern technology has changed the way we live, work, play, communicate, fight, love, and die. Yet few works have systematically explored these changes in light of their implications for individual and social welfare. How can we conceptualize and evaluate the influence of technology on human well-being? 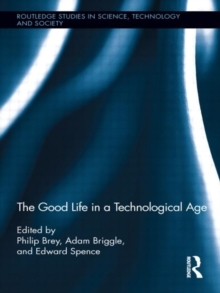 Bringing together scholars from a cross-section of disciplines, this volume combines an empirical investigation of technology and its social, psychological, and political effects, and a philosophical analysis and evaluation of the implications of such effects.